The AG raised preliminary objections regarding the ten Fundamental Rights petitions filed challenging the dissolution of Parliament by the President on November 9. The Supreme Court seven-judge-Bench headed by Chief Justice Nalin Perera yesterday, commenced hearing arguments into ten Fundamental Rights petitions for the second consecutive day. 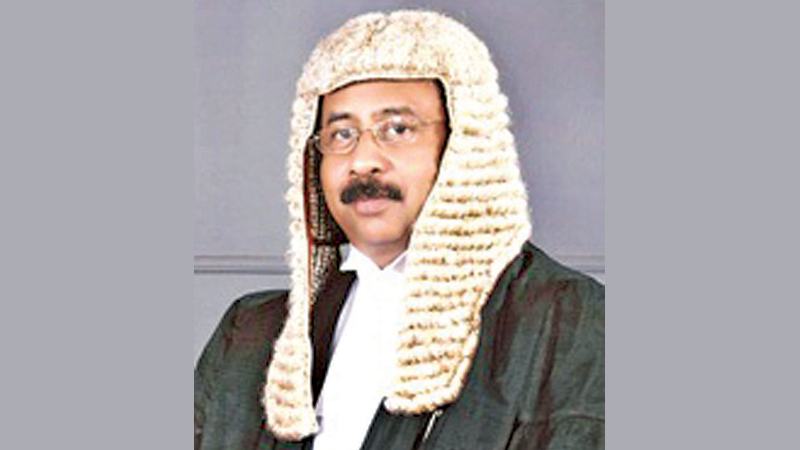 When the ten petitions came up before the Seven-Judge-Bench comprising Chief Justice Nalin Perera, Justice Buwaneka Aluvihare, Justice Sisira de Abrew, Justice Priyantha Jayawardena, Justice Prasanna Jayawardena, Justice Vijith Malalgoda and Justice Murdu Fernando further argument into the petitions were fixed for today (6). Making his oral submissions regarding ten Fundamental Rights petitions filed challenging the President’s decision to dissolve Parliament on November 9, the Attorney General stated that the President’s duties as the head of the executive, head of the State and head of the Government cannot be challenged through Fundamental Rights jurisdiction under Article 126 of the Constitution. The Attorney General contended that the conduct of the President when discharging his constitutional duties cannot be challenged through the Supreme Court’s Fundamental Rights jurisdiction under Article 126 of the constitution. Article 126 (1) of the constitution states ‘The Supreme Court shall have sole and exclusive jurisdiction to hear and determine any question relating to the infringement or imminent infringement by executive or administrative action of any fundamental right or language right…’ Jayasuriya argued that President’s duties and power cannot be classified as executive and administrative action. The Attorney General stated that Fundamental Rights petitions are relating to the conduct of the President over alleged intentional violation of constitution and abuse of the powers of the office and thereby these conducts have to be dealt with Article 38 of the Constitution. He stated that in accordance with Article 38 of the Constitution following a request made by Speaker, the Supreme Court has to make an inquiry regarding such an action and refer the finding to Parliament. The Supreme Court is not in a position of filling of the gap vested on another branch (legislature) of the State. The constitutional mechanism provided by Article 38 should be exercised by Parliament. ‘General Jurisdiction of the Supreme Court has been described under Article 118 of the Constitution. Specific mechanism has been created under Article 38 of the Constitution to inquire into the alleged violation of the Constitution. The immunity conferred on President has been recognised by the constitution. The President should have been given immunity to discharge his duties. If his immunity was not secured, it will affect adversely when discharging his official duties,’the Attorney General submitted. The Attorney General contended that the Supreme Court should refuse to exercise its jurisdiction in terms of Article 126 of the Constitution. The Attorney General stated the President has power to summon, prorogue and dissolve Parliament in terms of Article 33 (2) ( C ) of the Constitution. The Proclamation has been made by President using constitutional powers to exercise people’s franchise rights. On November 13, the Supreme Court three-judge-Bench unanimously issued an Interim Order staying the operation of the Gazette notification issued by the President to dissolve Parliament. This Interim Order will be effective until December 7. The Supreme Court further issued an Interim Order restraining the Election Commission from proceeding to take any steps to conduct the Parliamentary election by virtue of the proclamation until December 7. These Fundamental Rights petitions had been filed in the Supreme Court by several political parties and individuals seeking an Interim Order to stay the operation of President’s proclamation to dissolve parliament which published in the Gazette Extraordinary. These petitions had been filed through Tamil National Alliance leader R. Sampanthan, UNP General Secretary Kabir Hashim, JVP leader Anura Kumara Dissanayake, Sri Lanka Muslim Congress leader Rauf Hakeem, All Ceylon Makkal Congress party leader Rishad Bathiudeen, R.A.S.D. Perera, Prof. S. Ratnajeevan H. Hoole, MP Mano Ganeshan, Attorney Lal Wijenayake and G.C.J. Perera. Several intervenient petitions including Prof. Channa Jayasumana, Prof. G.L.Peiris, Pivithuru Hela Urumaya leader Udaya Gammanpila and attorney Premanath C. Dolawatta had filed papers seeking permission to intervene into these petitions. President’s Counsel Gamini Marapana with Counsel Navin Marapana appeared for Prof. Channa Jayasumana. The Petitioners state that upon the Proclamation being published the petitioners were of the view that the proclamation dissolving Parliament was unconstitutional and illegal. They sought a declaration that fundamental rights of the petitioners guaranteed under Article 12(1), 14(1(g) of the constitution is infringed by the petitioners. President’s Counsel K. Kanag-Iswaran with M.A. Sumanthiran PC, Thilak Marapana PC, C.J. Weliamuna PC, Dr. Jayampathi Wickremaratne PC, counsel H. Hizbullah, Counsel Suren Fernando and Manjula Balasuriya appeared for the petitioners. Attorney General Jayantha Jayasuriya PC, Solicitor General Dappula De Livera, Additional Solicitor General Indika Demuni de Silva PC, Nerin Pulle DSG, Dr. Avanthi Perera SSC appeared for the Attorney General. President’s Counsel Gamini Marapana, Manohara de Silva PC, Sanjeewa Jayawardena PC, Ali Sabry PC and counsel Navin Marapana appeared for the intervenient petitioners.